I don't really don't want to spend the cash on a high end handbrake setup. 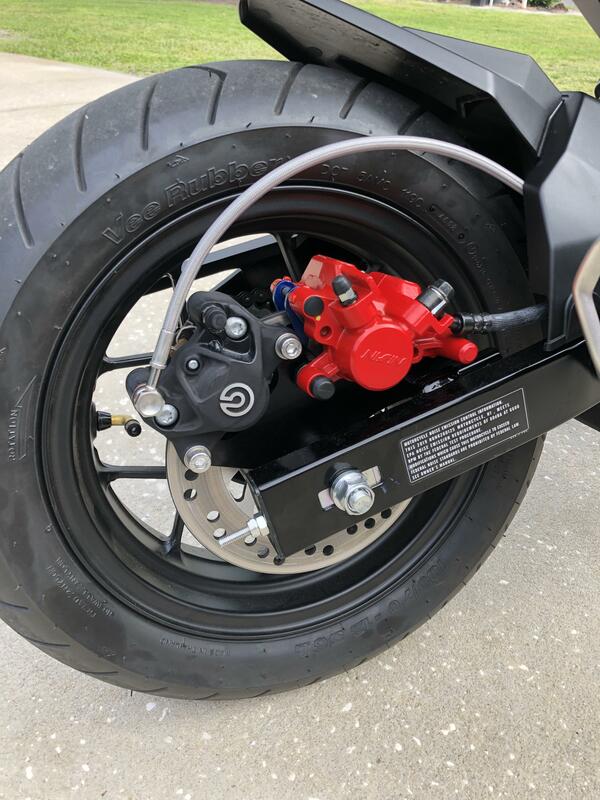 So I'm getting a Z&Z customs bracket along with their stunt package. 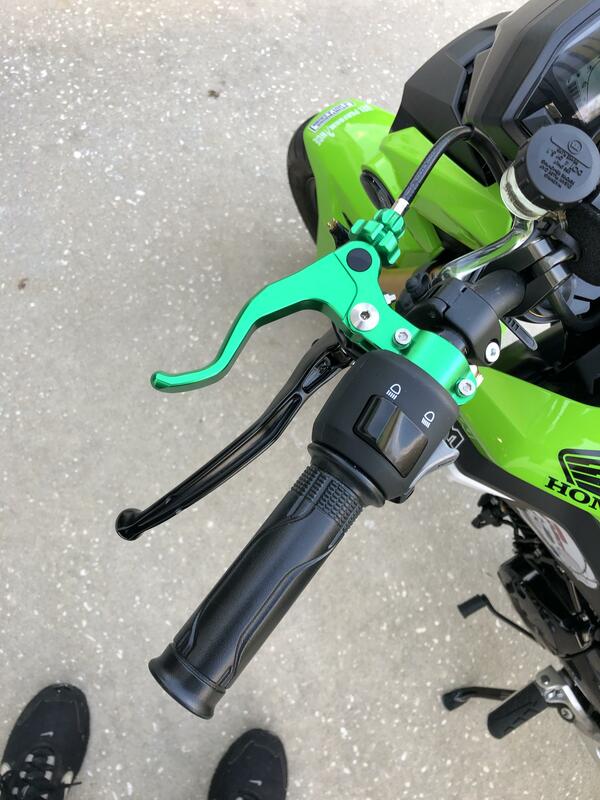 So I need a handbrake with/reservoir that will fit with my ASV levers on my pro taper bars. Real Estate on the bars are limited. Any handbrakes out there that will work on a budget? 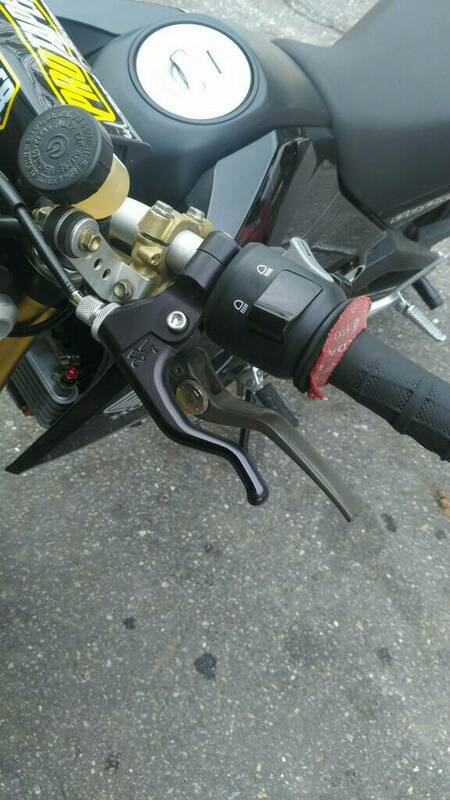 Search for Ducati clutch master cylinder. I used one from a bike that was around 2001 or 2002 if I remember right. They are Brembo master cylinders, top notch stuff. Mine was one finger lockup with a Brembo P34 caliper. Fits Pro Tapers and stock light controls with an RSC as pictured. Can be found on eBay for a decent price. If you're running a 4 piston, you might want the newer radial style ones. thanks, was going to use an 03-06 ZXR 636 caliper.